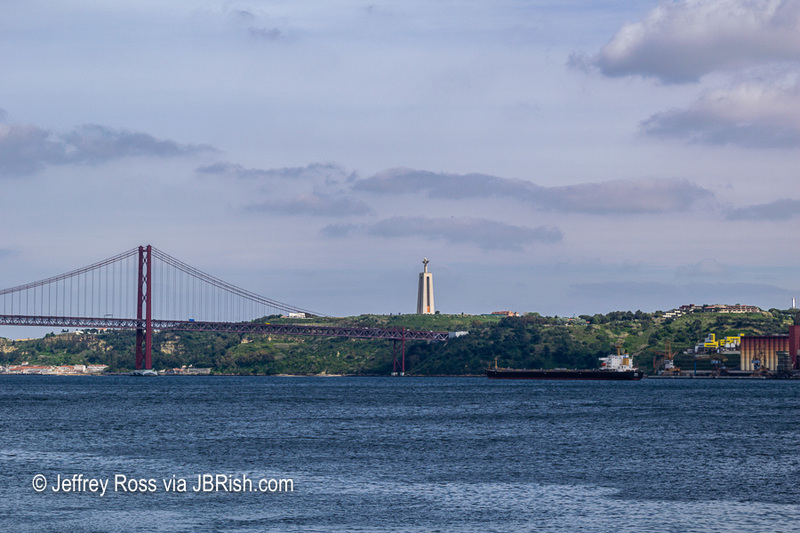 It was time for us to join the tour company for further exploration of Lisbon and the sites near the Tagus River (Rio Tejo). Our fist stop was the Coaches Museum. This was quite a unique collection of a variety of coaches used for historical events in Europe. 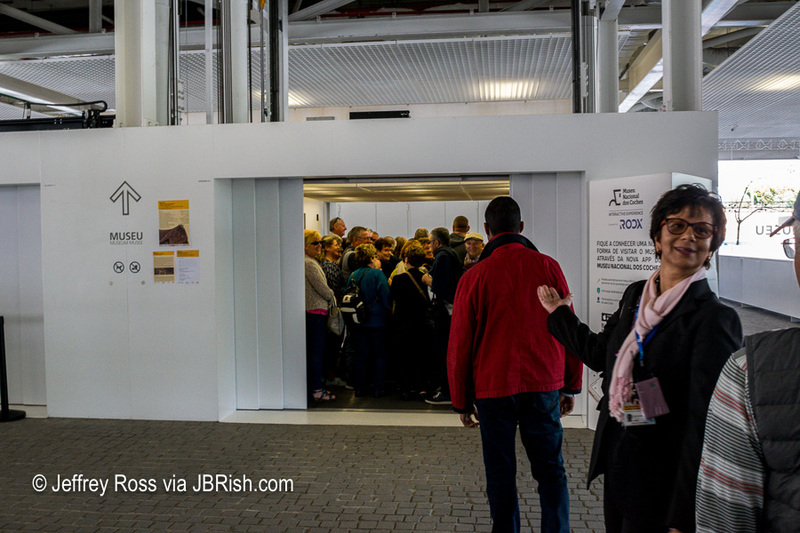 Not part of the actual collection, but quite interesting was the huge elevator which was able to accommodate dozens of people at a time. Here is our very knowledgeable guide, Paula, commenting on the unusual shape and size of the elevator. The coach pictured below was fairly typical of the items on display. Notice the photographs projected on the walls. There was as much information as one could want about the various coaches and their history. 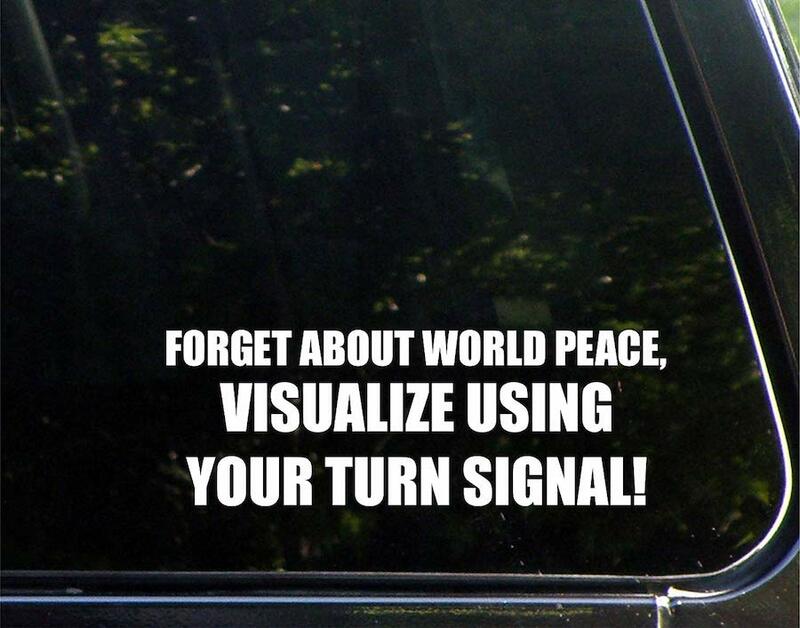 Some of the more modern vehicles had videos to show them in use. In addition to being modes of transportation, these carriages were distinctive works of art. Car of the apparatus used by Infantas (children) D. Maria Francisca (later D. Maria I), D. Maria Ana, D. Maria Francisca Doroteia and D. Maria Francisca Benedita, daughters of King D. José I. A short ride by bus took us to the Monastery of St Jerome, one of the major attractions and UNESCO World Heritage site located in the Belem district (west Lisbon). 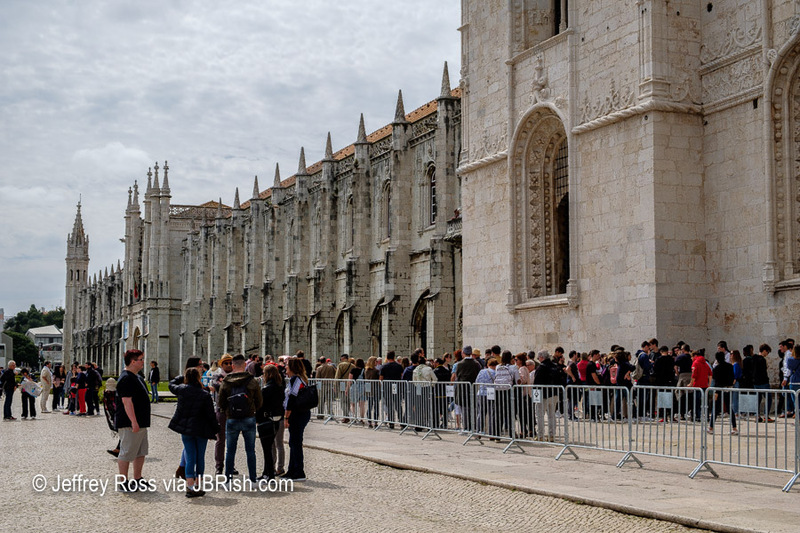 Mosteiro dos Jerónimos was built along the Tagus River and completed around 1600. King Manuel I decided to build a monastery in honor of the Virgin Mary and as gratitude for one of its premiere explorer’s, (Vasco de Gama), successful expedition to India. Precious commodities from Africa, Asia and South American expeditions plus spice trade taxes mainly subsidized the monastery’s construction. Vasco da Gama and his crew reportedly slept at the Monastery prior to leaving for their voyage to India. The south portal (pictured below with the statue of Our Lady of Bethlehem) is perhaps one of the most stunning features of the monastery. 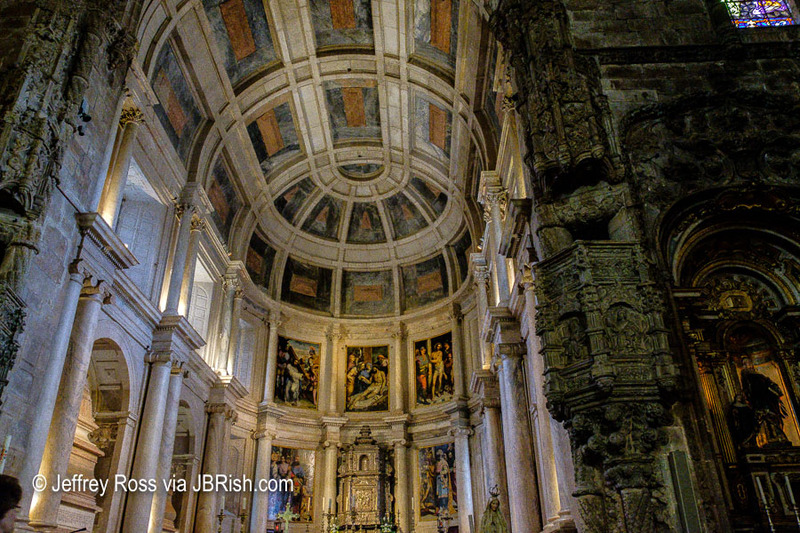 It was designed by Spanish Architect João de Castilho (also known as Juan de Castillo). 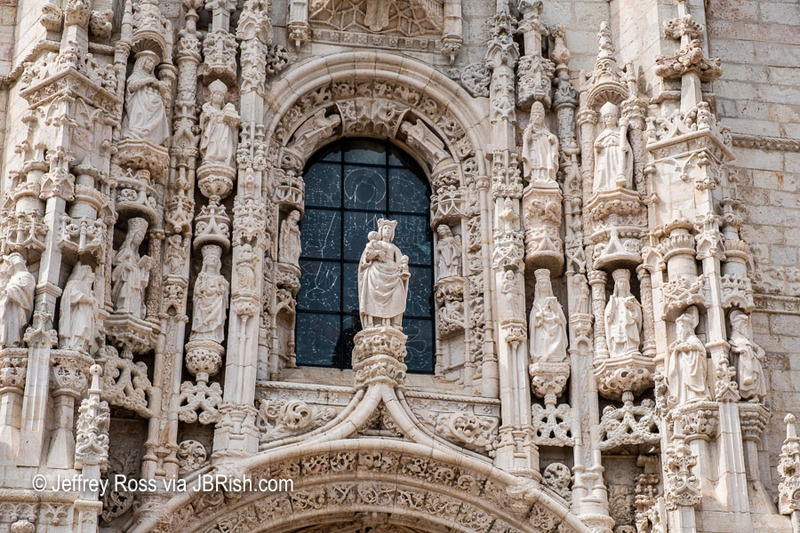 There is an abundance of sculptured filigree, statues of saints, noted historical figures and fine details. It is hard to believe that this is not the main door, however this is where visitors were entering the building on the day we visited. The details on the outside of the building were not the only impressive architectural element of the monastery. 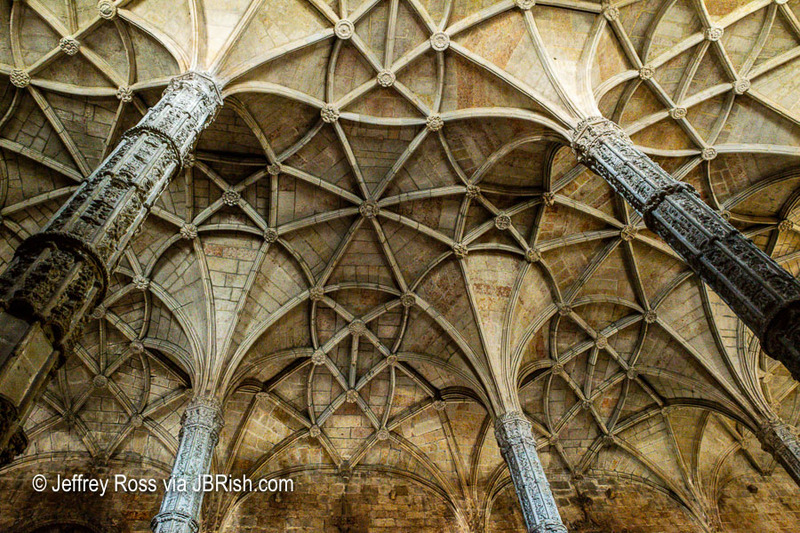 The vaulted ceilings of the attached Church of Santa Maria de Belem were massive, interwoven stone and masonry webs. It is an amazing and impressive structure bringing to mind descriptions from Ken Follett’s The Pillars of the Earth. There is ample artwork to impress visitors as well. The alcoves were covered with paintings, statues and icons along with gold and silver ornamentation. 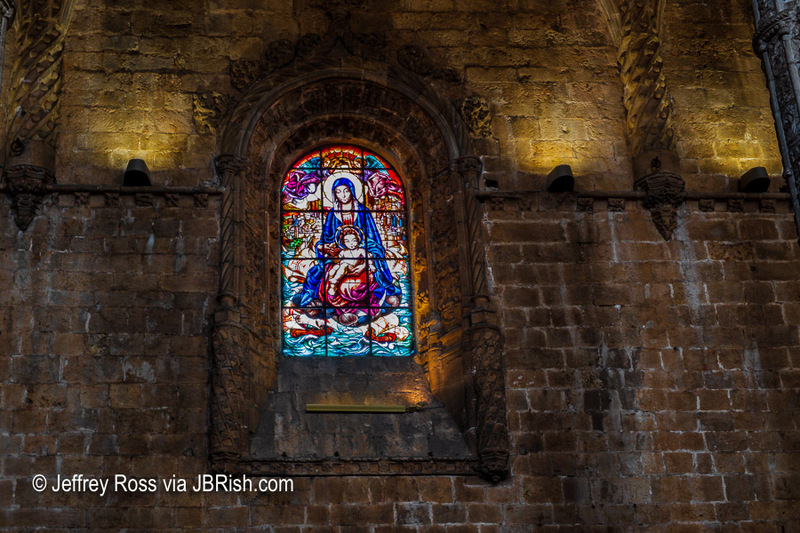 This old, blemished wall looked its age and was a good foil for the stained glass window of the Virgin Mary. 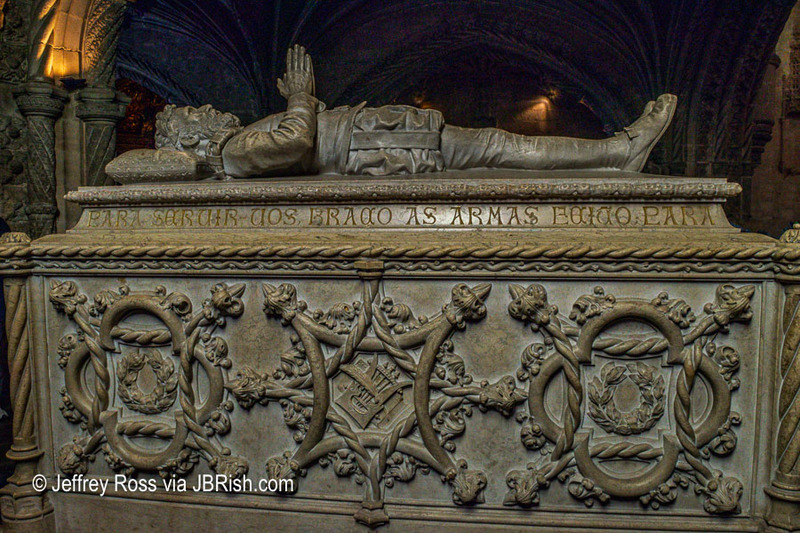 Perhaps the most famous Portuguese explorer, Vasco da Gama, is entombed in the Monastery of St. Jerome. This is a very popular site and there are often long lines so travelers should plan accordingly. 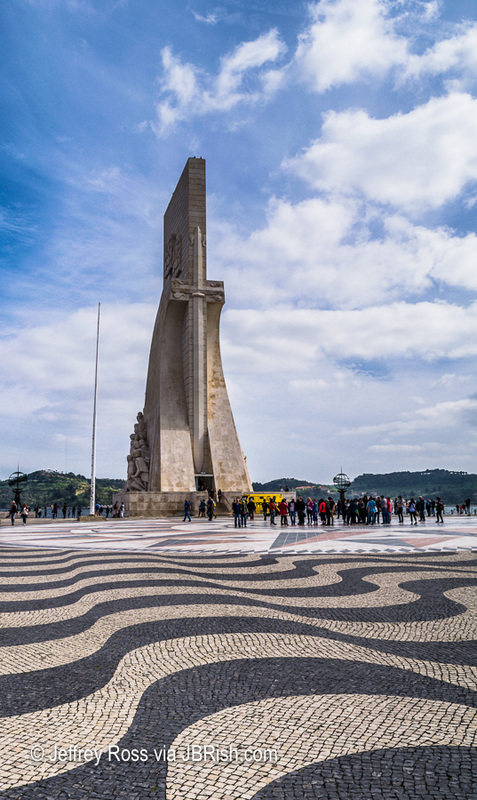 In the Alameda district across from Lisbon is another impressive attraction, the Cristo Rei Statue which is reminiscent of Christ the Redeemer statue in Rio de Janeiro. Those so inclined can walk across the bridge or take public transportation to within walking distance of the statue. 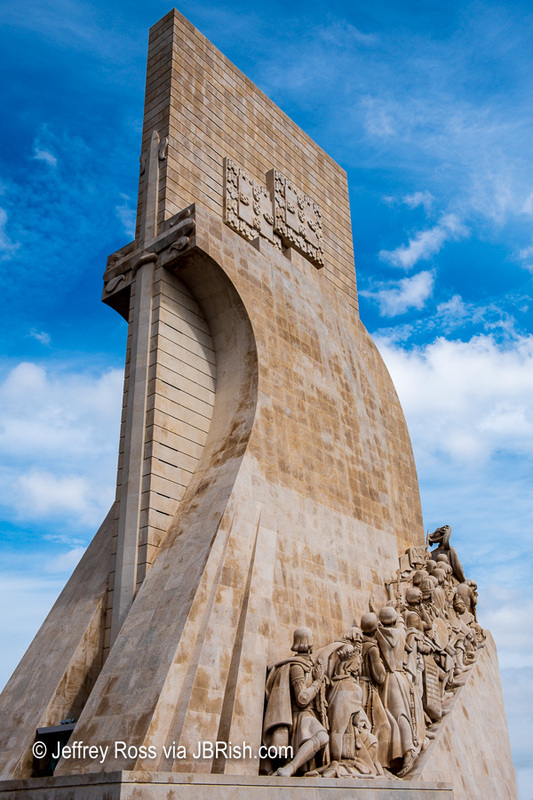 Along the waterfront is the Monument to the Discoveries (Padrão dos Descobrimentos) which pays homage to the brave Portuguese explorers and navigators who risked their lives to find new lands and resources. There is a park-like area with the stylized pavements and decorative inlays. People can mount the monument to get a closer look at the artwork, nearby boats and the waterway. The main statue pays tribute to Prince Henry the Navigator who played a major role in the Portuguese Age of Discovery. Other statues call forth images of Vasco da Gama and Magellan among others.